I am currently in the inefficient position of having two websites ‘live’, but over the next week I hope to end the confusion by moving all activity to this wordpress.com site, as it is much more flexible. Then you will have the delightful experience of reading my thoughts on various matters – mainly musical and historical – while also considering the commission of a programme essay, or contemplating learning the cello, or taking a Grade 5 theory exam. Possibly all three! 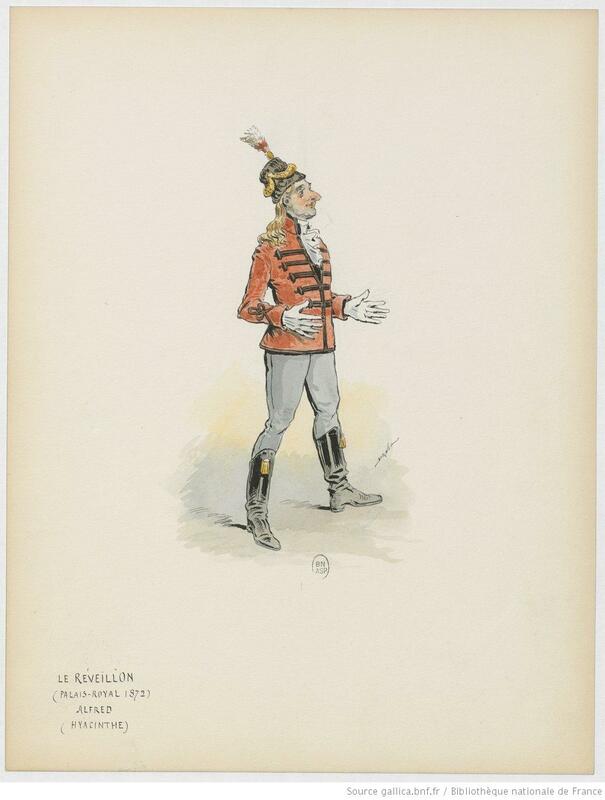 Meanwhile, while we await further developments, here is a marvellous picture of a character from Le Réveillon, a Comédie in 3 Acts by Henri Meilhac & Ludovic Halévy (1872). I shall explain more about the sketch and the Comédie in due course.